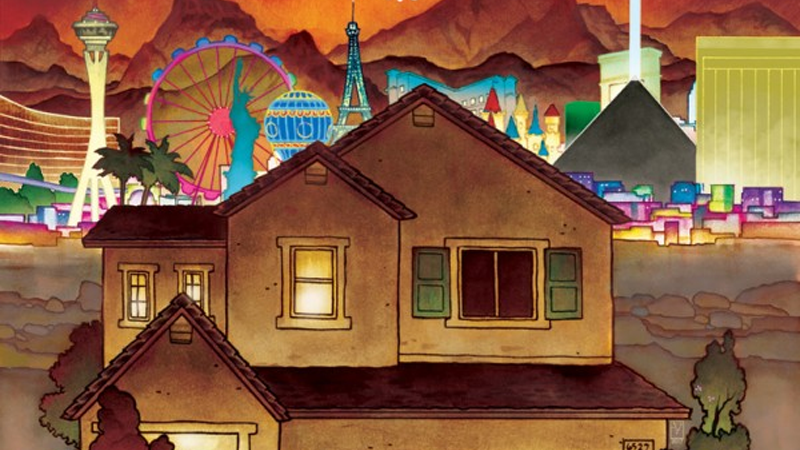 Cover art for Where We Live: A Benefit for the Survivors in Las Vegas. In the wake of what is now the deadliest mass shooting in modern U.S. history last October, Image Comics has announced a bumper anthology of comics about the trauma of gun violence in America—and with it, contributors from some of the biggest artists and writers in the comics industry like Gail Simone, Neil Gaiman, Kelly Sue DeConnick, and so many more. Where We Live, spearheaded by JH Williams III, Wendy Wright-Williams, Will Dennis, and Eric Stephenson, will feature 70+ stories from dozens upon dozens of different creative teams, all reflecting on the current debate about gun violence and legislative reform in America (which, in a grim observation, has already moved on from October 2017's shooting in Las Vegas to the recent massacre of school students in Parkland, Florida, that spurred this past weekend’s March For Our Lives). The proceeds from sales of Where We Live, which will be about 300 pages and hits shelves May 30, will go towards the Las Vegas Victim Fund’s official GoFundMe campaign to support survivors of the shooting, which claimed the lives of 58 people while leaving 851 injured.